Rabbi Edward Bernstein served as Spiritual Leader of Temple Torah/Temple Torat Emet from 2011 to 2017. The Kohen shall examine the blemish on the skin of his body… when the priest sees it, he shall pronounce him impure. וְרָאָ֥הוּ הַכֹּהֵ֖ן (v’ra-a-hu hakohen)means when the priest sees him—the person—not it—the disease. In other words, the kohen is to examine the whole person, not only the diseased limb. He is to see what is whole and healthy about the person, not only what is affected. A Kohen is responsible to look out not only for flaws but to look at a human being and appreciate him or her beyond any flaws. The Kohen is charged to look out for a nega, a blemish. However, in order to fulfill that mission, he must have a vision of healing and wholeness. If he focuses only on the blemish, the person will only be seen in terms of the blemish. With a broader perspective, he is able to unlock qualities of kindness that bring about healing for the individual and the community. Our society is being torn apart by unthinkable cruelty, violence and hatred. In a society in which airline personnel violently remove a paying passenger from a plane, or a candidate for high office mocks the physical disabilities of a reporter, or vulnerable populations such as Hispanics and Muslims live in fear, our job as a Jewish community must be to bring more kindness into the world. The stakes are high. Religious institutions, such as synagogues, are uniquely positioned to be laboratories for kindness. When we are at our best we not only provide refuge from the world, we develop skills and habits within our community to bring healing and kindness to the world. If we who care about synagogue life fail this basic mission of modeling kindness, the synagogue will become utterly irrelevant to the vast majority of our community. Abraham Joshua Heschel in his later years said it best: “When I was young I admired clever people. Now that I am older I admire kind people.” Sometimes in synagogue life, we lose sight of our community’s broader mission to model kindness. It is easy to get stuck and see only an individual’s flaws and not appreciate the totality of each person. In such a reactionary state of mind, we deprive ourselves the opportunity to appreciate the gifts that each individual brings to bear. We need occasional reminders of our role as a Jewish communal institution to model radical kindness, radical hospitality and radical compassion. As I reflect on the broader purpose of a shul and its rabbi, I of course acknowledge that this is a Shabbat of transition. Whatever blemishes there may be in me or our shul, I’d like to pretend we are all kohanim and look at the bigger picture or, if you will, the entire body. Today is a time for Hakkarat HaTov, recognition of the good. Just as I hope that I will not be judged for any single shortcoming, I strive to do the same for the congregation. I am grateful for the six years that we have had together. I am pleased to share that my family and I are remaining in the community. I have been hired as a chaplain with Vitas Hospice. I will also be teaching in various capacities. I have joined the faculty of the Florence Melton Adult School in Boca Raton and invite you to contact me privately if this intensive program of learning might be of interest to you next fall. I also plan to do freelance rabbinic and educational consulting, including lifecycle events for unaffiliated Jews in Palm Beach County. Having caught the writing and publishing bug in the last couple of years, I hope to spend time writing as well. 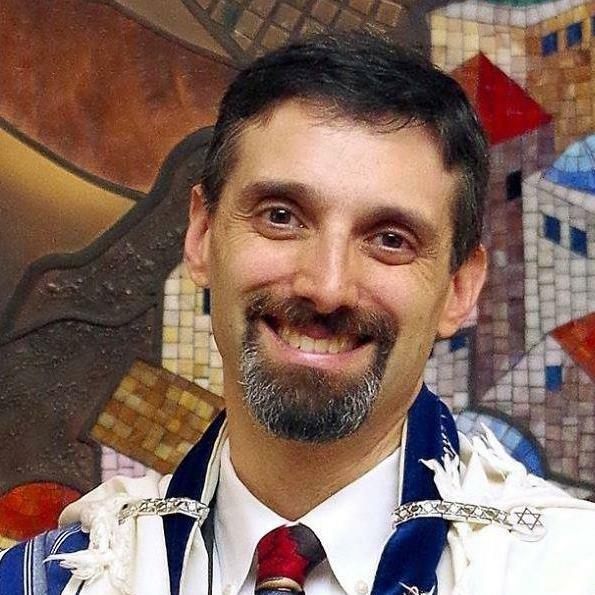 As I look forward to new endeavors, I also look back on my service at Temple Torat Emet. I am grateful for the learning many of us have done together. I am grateful for your trust in allowing me to facilitate services. I am grateful for the accomplishments we achieved together from the merger to create Temple Torat Emet to our Adult Education Consortium of five synagogues to JACATT to goofy YouTube videos that some of us created together. Moreover, I’m grateful for the opportunity to enter the lives of our congregants and for the trust you invested in me to provide guidance at critical moments. Teenager Seeking Answers—Two years ago, a young man from our congregation, a high school senior on spring break, asked to meet with me. This hip, athletic young man could have been doing a million other things on his spring break, but he wanted to meet with his rabbi. He had spiritual questions and was seeking in depth exploration of issues. He had had some exposure to Chabad but was looking for guidance from within the mainstream Conservative tradition in which he was raised. I thought the conversation might last 20 minutes. Instead, we wound up talking for two hours studying texts and creating a reading list for further studies. We’ve kept in touch, and he is an amazing young man in college who represents the future leadership of our people. I’m honored that he entrusted me with those two hours during his spring break, and I’m humbled that I was able to meet him where he was at and offer what I hope was meaningful guidance. She articulated very clearly that she wanted to die peacefully at home, not at the hospital. She chose not to continue with treatment and enter home hospice. She had a beautiful final week in the comfort of her home surrounded by her children. I was honored to earn the trust of this woman and her husband to enable me to orchestrate these final days of peace and dignity. I am grateful to have been a part of these sacred moments. 3. Conversion—One of the most spiritually uplifting roles I play as a rabbi is the opportunity to facilitate conversion to Judaism. At Temple Torat Emet I facilitated over twenty conversions. Last year, a family in our community came to me shortly after enrolling their daughter in Wiston Family Torah Tots. Since the mother was not Jewish, the child was not either. While our pre-school would have welcomed the child anyway, the couple had committed to raising their daughter exclusively Jewish according to the father’s tradition, and they were eager to convert their daughter as soon as possible. The mother was not yet ready to convert herself but supported her daughter doing so. We had a beautiful day at the conversion at Lakeside Park on the Inter-coastal. Not long after that, the mother enrolled in the Board of Rabbis Introduction to Judaism course for conversion candidates and has expressed her desire to formally embrace Judaism in her own right. I could share numerous other examples, but, suffice it to say, it is stories like these that remind me why I do what I do. The stories I described did not just happen. They happened because of the relationships I cultivated as your Rabbi with congregants of all ages. I am filled with gratitude for these sacred moments. In the day-to-day hustle and bustle of life, it is easy to get caught up in daily stresses. We get distracted by each nega, each blemish. However, in zooming out and looking at the bigger picture, we see a beautiful wholeness, similar to what the Kohen saw when examining a person. A community rabbi’s role at its essence is to cultivate relationships and facilitate meaningful engagement with Jewish tradition, particularly at key moments. It is humbling to realize the extent to which I have been part of changing people’s lives, one person at a time. I would like to acknowledge a few specific individuals who were important to me over the past 6 years. During this tenure, I’ve conducted roughly 100 funerals. Of those, two special people are very much on my mind today: Dr. Kenneth Cohen, z”l, who was co-chair of the Rabbinic Search Committee in 2011, along with Richard Katz, may he enjoy length of years and good health. Kenneth called me during Hol HaMoed Pesah in 2011 to invite me to interview. After I began my service, he became a trusted friend and mentor. We worked closely together on a synagogue strategic plan that paved the way for important initiatives, including our merger to become Torat Emet. I miss Kenneth’s visionary leadership and steadfast confidence. Elliot Fagin, z”l, is also on my mind. His dedication to this institution and his kindness were inspirational. He helped me in numerous and immeasurable ways—reminding me of people’s names, organizing services and just knowing every nuance of synagogue culture. Here’s a piece of trivia for you: I am the first Rabbi in the history of the former Temple Torah and Temple Emeth under the age of 50. I am the first rabbi in our combined history of more than 70 years to have school-age children at home. For some, this was almost as shocking as a rabbi who rides his bicycle to synagogue! There may have been some growing pains along the way as the congregation and our family adjusted our new reality. However, I’m grateful for the opportunity to be this guinea pig of sorts, and I hope for the sake of our community that I’m not the last such rabbi. Anything I did for the congregation over the last six years would not have been possible without the steadfast support of Ariella and our children. In Ariella, I am blessed with a partner who supports me and encourages me always. She has opened our home to guests and did the bulk of the work to enable us to host numerous congregants and potential congregants in our home for Shabbat and holiday meals as well as shomer Shabbat overnight guests. Ariella volunteered her skills and contributed her talents to our community when she created Mitzvah Matters, Mitzvah Day and served on the board of the Temple Torah Foundation. She is an unsung hero, and I am here to sing her praise for all that she did in her own right to strengthen our community and to support me in my work. We are blessed with three amazing children. Sam and Noam have been leaders in the resurgence of our youth groups in recent years. They have served as ushers for the High Holidays, installed hurricane shudders, facilitated junior congregation services, volunteered in Torah Tots Day Camp and so much more. Esther has been a joy to watch as she has literally grown up in shul and has developed confidence in coming up to the bimah every week. My children have not had it easy. They live in a glass house. While they are blessed to have many good friends who come to shul regularly, there have been many occasions when they were the only children in services. They have been watched more closely than other children and occasionally judged unfairly in comparison to other kids for what they might do, say or wear. Yet, through it all, they have been gracious. I couldn’t be more proud of their menschlikhkeit. Moreover, my family patiently endured my frequent absences at home due to professional commitments: Sunday afternoons when I had to cancel family plans to do a funeral; Numerous weeknights that I missed Little League games or special school functions due to committee meetings or shiva minyanim; Friday evening Shabbat dinner that we rushed through so that I could get to services on time. While I’m proud of my work and accomplishments, I recognize the sacrifices made by my family and wish to thank them publicly from the bottom of my heart. I love you all. The five of us draw strength from our extended family, particularly my parents, Roberta and Chuck Bernstein, my grandmother, Adele Bernstein, and Ariella’s parents, Sheila and Jerry Reback. In fact, Sheila and Jerry have been full members of the congregation since our arrival, and Jerry, a licensed electrician, contributed occasional electrical work to the Synagogue. We are grateful for their steadfast love and support. There are a few other people I want to thank. I’ve worked with four presidents of the congregation: Cheri Deutch, Alan Aronson, Lori Charnow and Phil Avruch. Over the years, there were times we agreed and times we did not. However, I want them and the congregation to know that I appreciate their efforts as volunteer leaders of the congregation. Every day they volunteer their time to field complaints, manage crises and maintain the good will of our community. Volunteers can never be thanked enough, so I want to thank them, as well as all those who volunteer their time for the well-being of our community. Our professional staff are also not thanked enough for their tireless service to our congregation and to the Jewish people. I have been enriched and inspired by their work on a daily basis. To Michelle Kantor, Mike Klein, Orly Jacobs, Sharon Feinberg, Stephanie Rubin, Stacey Ripin, Sharon Black, Alyssa Fix, Kathy Slutsky, Susi Wood and Yvette Baugh, thank you for your partnership and support. To: Bob, Richard, Maria and Olga, thank you for managing our large facility and making incredibly complex work of setting up events seem so easy and seamless. A special thank you to my partner on the bimah Hazzan Howard (Hamid) Dardashti. The last year has been a true blessing to work together. I served earlier in my career with his brother Hazzan Farid Dardashti, a dear friend and mentor, and strengthening my bond with the Dardashti family through Hamid has been a special bonus. I only wish we had more time together as a team on this bimah. I want to close with where I began. Each one of us today is like that Kohen of long ago who can only heal blemishes by bearing witness to the whole, complete person before us. As I finish my tenure I challenge all of us to fulfill the essence of synagogue life: look for the good in others and bring more kindness into the world. Finally, particularly since I am staying in Palm Beach County, I pray that we will cross paths on happy occasions. I’m reminded that in Hebrew we don’t say farewell. We say l’hitraot—till we meet again. Shabbat Shalom.